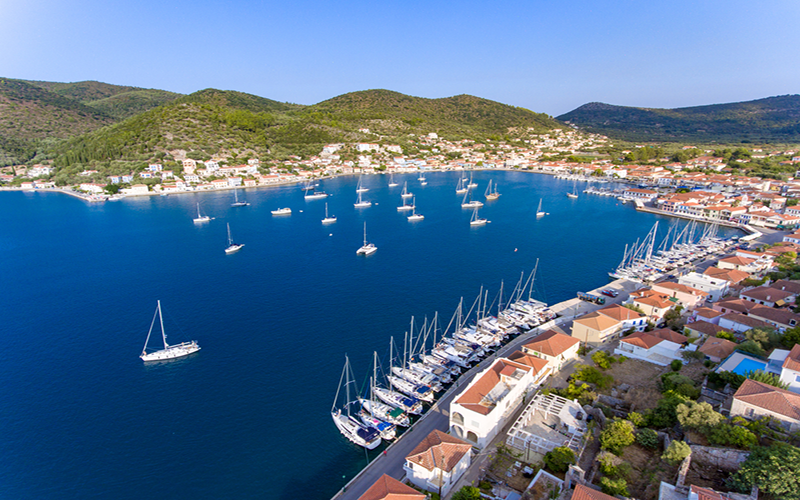 The best marinas in Greece should be included on your bucket list if you love sailing. The Greek marinas and ports we are about to present, are located in key traveling destinations from Greece. They are considered high-caliber marinas thanks to their exceptional service and/or spectacular surroundings. 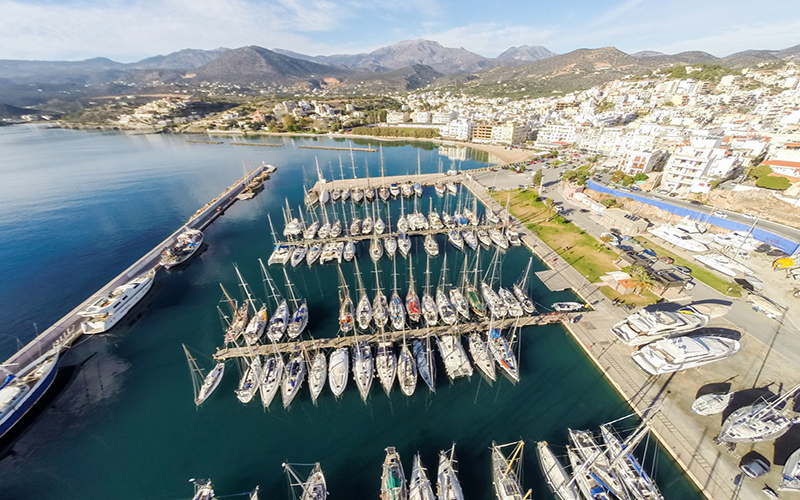 Learn more about the best marinas to book a berth in Greece. Athens Marina is one of the best marinas in Athens. Located only 9 km away from the center of the capital, this port offers top quality services to worldwide guests. If you book a berth here, you’ll be able to choose from a wide array of transportation services to and from the center, including taxi, tram, or car rental. Athens harbor caters toward mega yachts and super yachts. 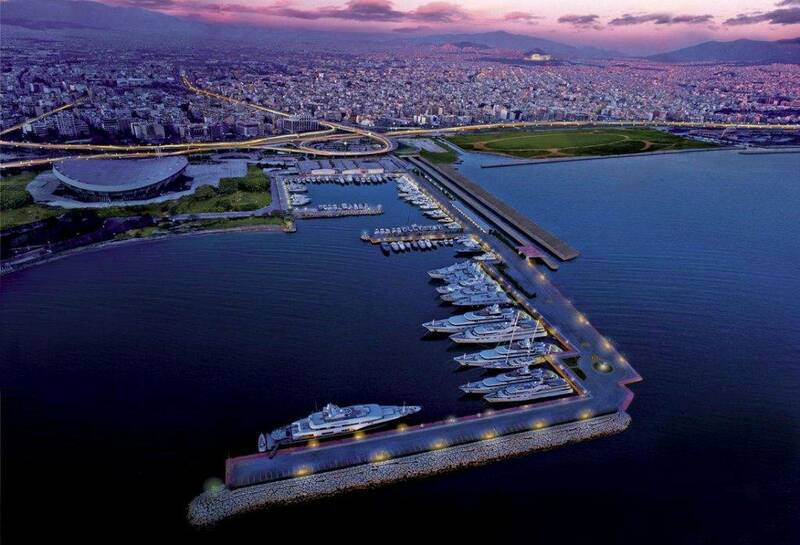 Athens Marina can accommodate up to 130 yachts, having 10 moorings for vessels ranging from 50m to 130m. 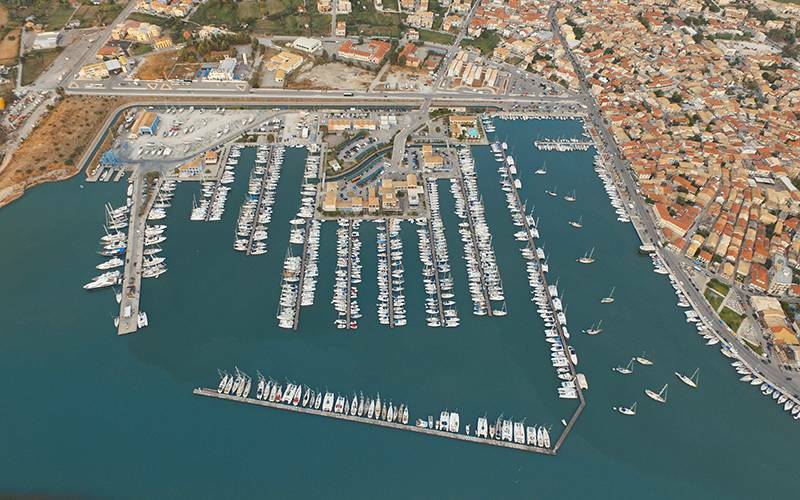 Athens Marina is renowned for its flawless service providing safe and tranquil mooring. The marina is safe having 24/7 surveillance and controlled entry-exit points. 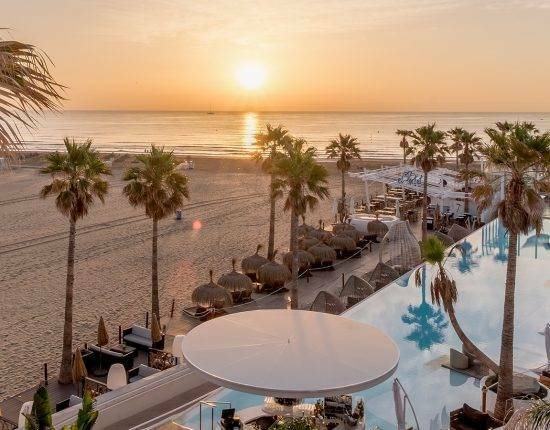 For a quality stay, this harbor ensures facilities such as mooring assistance, technical service, cleaning and laundry service, helipad, storage area, car parking, diving services, fuel station. Other great marinas in Athens where we provide reservations are Zea Marina and Flisvos Marina. Check out the best Marinas in Athens. Rhodes Marina is located in Rhodes, on the mythical Rhodes Island, the biggest of the Dodecanese islands. 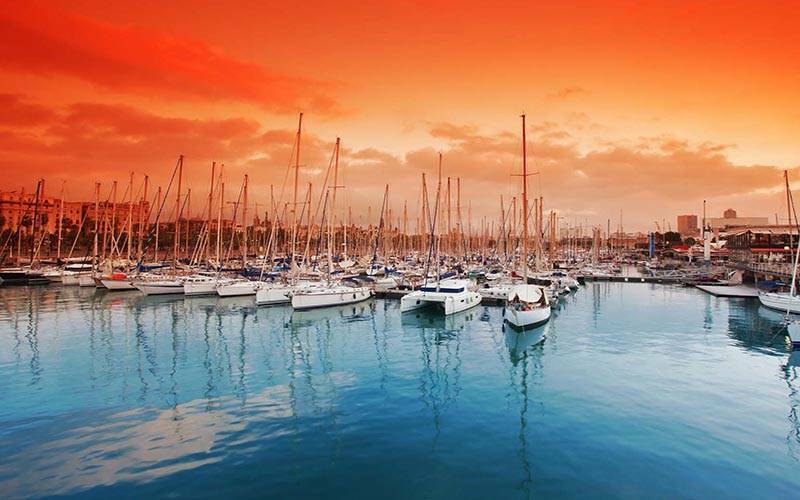 Located in the proximity of the medieval town, this marina enables you to visit the numerous attractions of Rhodes. Furthermore, the international airport can be reached in only half an hour from this marina. 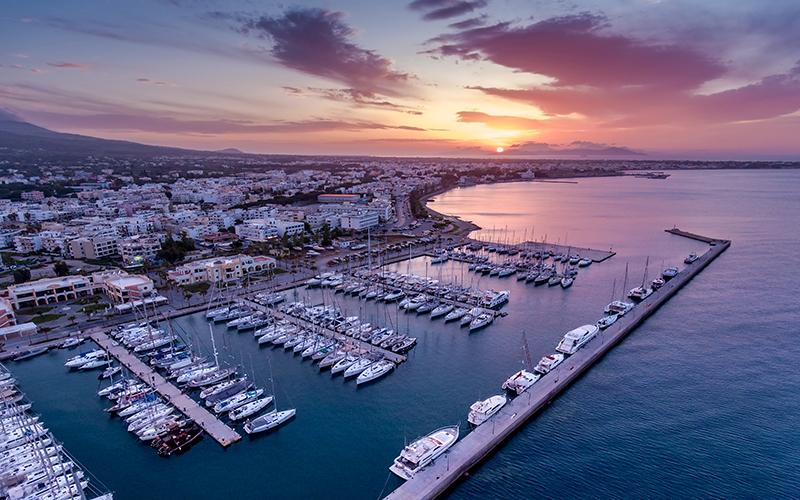 With modern facilities and easy access to other destinations in the Mediterranean and the Aegean, Rhodes harbor is a popular choice for yacht owners. Rhodes Marina is able to accommodate vessels of all sizes including yachts of 120 m in an elegant environment with charming architecture that resembles medieval Rhodos. It is a quiet and safe harbor where you can moor stern to. Some of the amenities this marina provides include elegant restaurants, VIP services, boutiques, maintenance and assistance, 250-400 ton travelift, 24h surveillance, parking, hard standing. Gouvia Marina is located approximately 6 km away from Corfu, in a picturesque natural area. The international airport of this island is situated only a few km away. To get here by boat, sail through Corfu’s northern channel and reach the islet of Lazaretto. This is the sign that the marina is only a mile away. Gouvia Marina has a long tradition, being open since 1996. The port is provided with 2 entrances and it is open all year round. Some of the services include a boatyard with a 75t travel hoist, reception office, repair & painting service, weather forecast, postal service, fuel station, potable water. Gouvia Marina is situated in the middle of a lively area, provided with plenty touristic facilities such as restaurants, bars, accommodation, all within a short walking distance. Kos Marina is a modern port located in Kos Island, in a naturally sheltered bay. More precisely, you will find this port a mile away south-east from the old harbor of Kos. If you book an online marina reservation in Kos Marina, you will benefit from all the marina services you might require. The area surrounding Kos Island is internationally renowned for its landscape and sailing facilities. 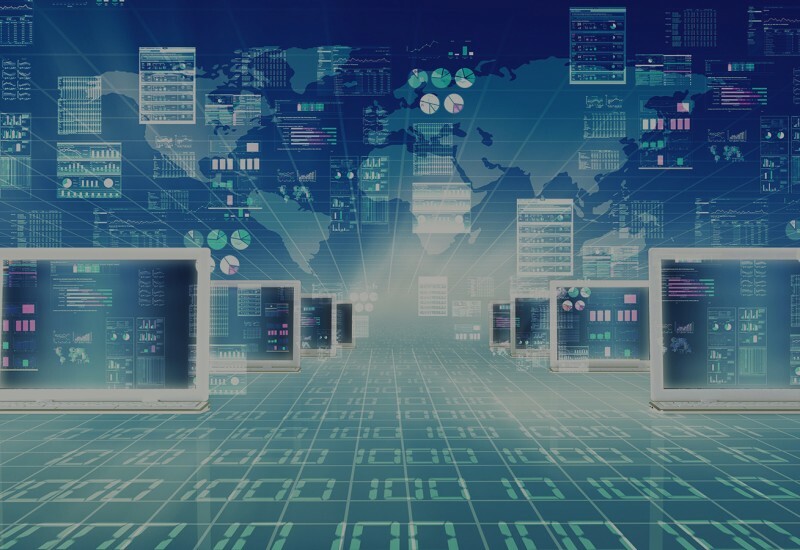 The port provides water, electricity, mooring lines, satellite, TV, telephone weather forecast, postal service, ATM, reception, info center, storage area, and much more. On-site, you will also find modern meeting rooms and guests’ suites, all equipped with the latest technologies. This Greek marina reservation option covers all your necessities providing supermarket, souvenir shops, shopping center, cafeteria, restaurant, all within easy reach. Lefkas Marina is one of the best marinas in Greece in terms of modern facilities. Located in the eastern part of the island, in the town of Lefkas, this marina is surrounded by history and beauty. It is open 365 days per year and it is committed to providing guest flawless service in a welcoming surrounding. 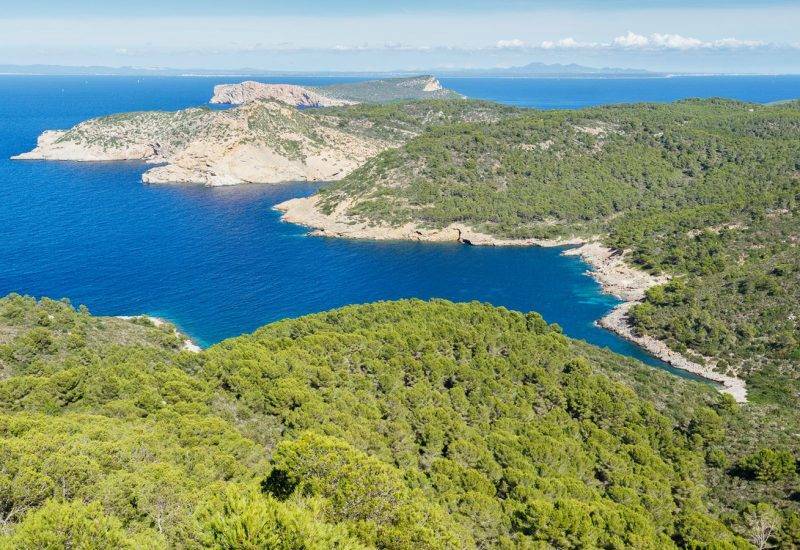 It offers very good shelter being located on the canal that divides the Lekas Islands. Marina Lefkas provides all the basic marina services and extras such as laundry service, on-site shops. The customs and port police are located close to this marina and so is the busy area of the town. You can reach the best restaurants and bars in Lefkas in only 5 minutes on foot. The historic attractions of the town and its museums are also within easy reach. Moreover, the island is connected to the continent through a bridge of only 50 meters. Port Zakynthos is located on the eastern coast of the homonymous island, in the town of Zakynthos. This town has several ferry connections with the peninsula and with Italy as well. If you book an online berth in this Zakynthos marina, you should take the chance to explore the nearby National Marine Park of Zakynthos, the Blue Caves and the famous shipwreck beach of Navagio. Marina Zakynthos is also surrounded by shopping facilities, so it is a good opportunity o refill your vessel with various supplies. 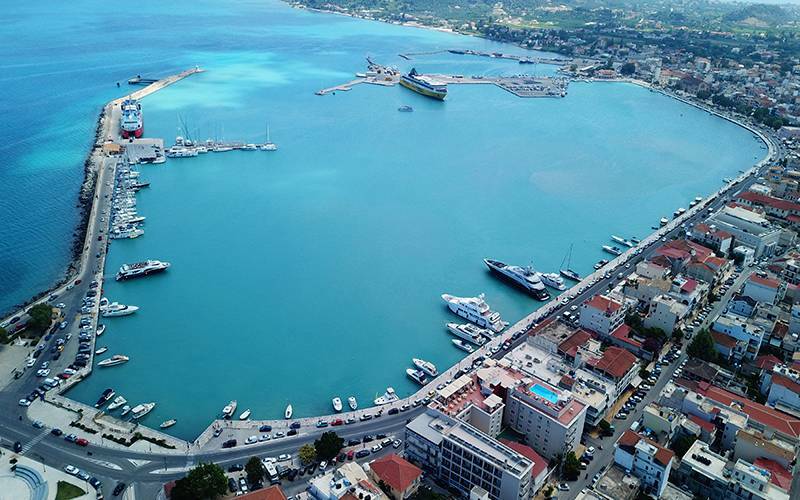 Zakynthos harbour provides basic amenities such as water, electricity, nearby fuel station. During the winter, keep in mind that the southerly winds are present here, creating difficult sailing conditions. The best place to moor here is the NE part of the quay where you will not be affected by the ferry movement. In summer this area is clear after the large vessels depart. 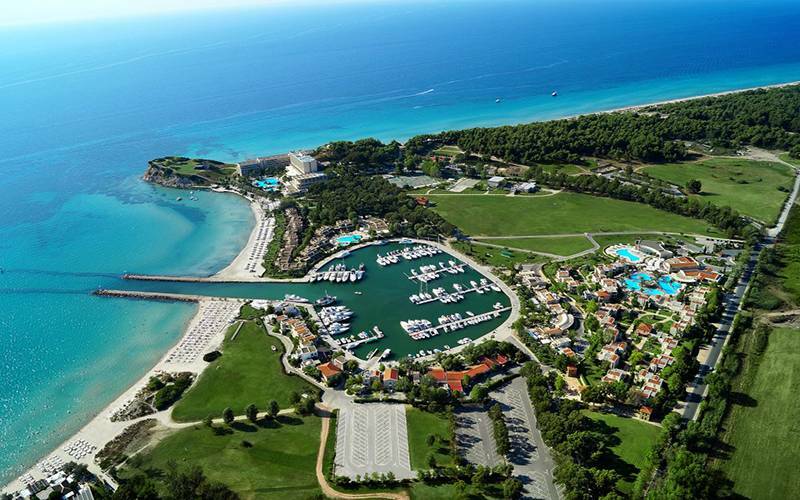 Sani Marina is an elegant port located in the Kassandra Peninsula in Halkidiki. 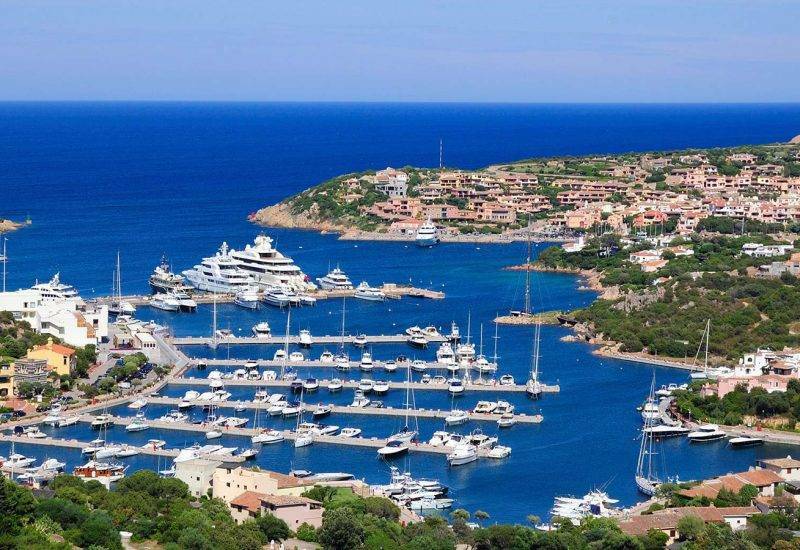 This impressive and well-provided marina boasts a wonderful view of the sea and a comprehensive package of services. With on-site restaurants, boutiques, shopping and leisure area, this marina will keep you busy as a bee. 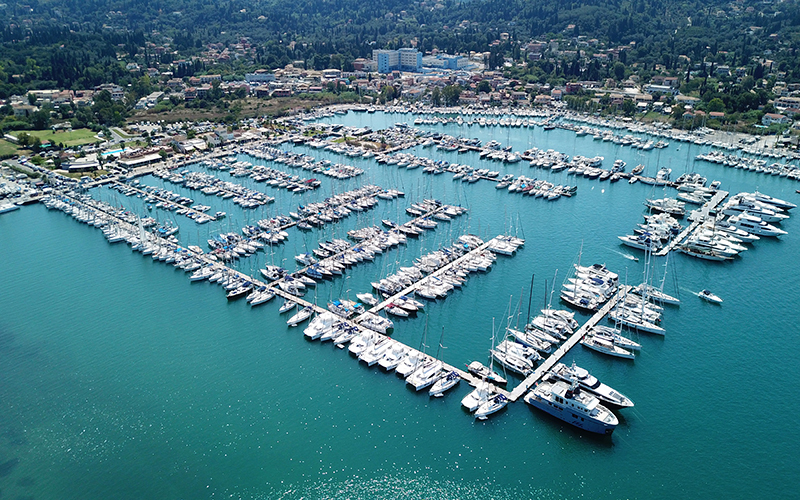 You will be able to indulge in a cosmopolitan and tranquil atmosphere at this marina and easily sail toward different nearby islands and Halkidiki coves. Sani Marina provides top-notch facilities including security service, fuel, sewerage, electricity, maintenance services, boat chartering, fire protection piping. The harbor is located in a perfectly sheltered area and the entrance channel is dredged up to a depth of 3 meters. The biggest advantage of this marina is that you can arrange an all-inclusive holiday here. The marina is part of the larger Sani Resort which comprises 5-star accommodation. 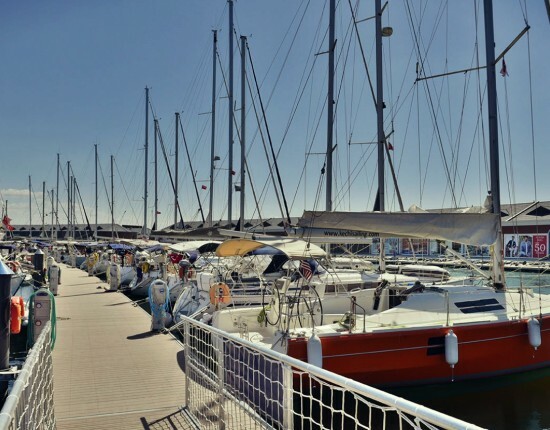 Olympic Marina is a modern mooring option located in Lavrion, in the southeastern part of Attica. This area is famous for its splendid beaches and the Sounion National Park, a vast area covered by pine trees. The archeological sites at Cape Sounion and Thorikos are also nearby. Olympic harbor is a great starting point that will allow you to visit these places of interest. Olympic Marina is open all year round and provides excellent facilities such as ATM, free WiFi, laundry and dryers, 24h surveillance, repair services, waste collection, port authority and customs, car, bike & scooter rental, transportation within the marina, car parking crane. If you book a berth here, you will have everything you might need on-site; minimarket with all sort of products, restaurant, café – bar, all in a truly relaxing environment. Mykonos Marina, known as Mykonos New Port is situated north of the historical town of Mykonos. This marina provides a complete set of basic marina amenities such as water and electricity, as well as different nautical services such as master harbor, service station, crane, seamanship, ramp. Additional services that will make your stay here pleasurable include restaurant & bar, car rental, bank. 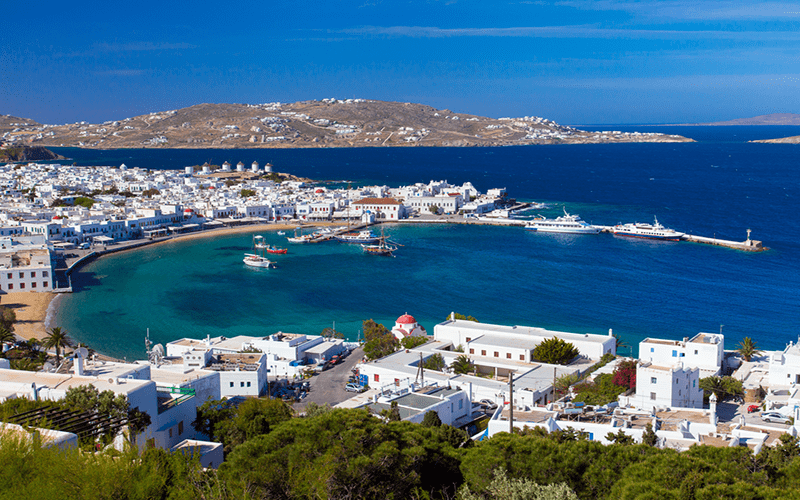 The new port of Mykonos will enable you to visit the myriad attractions of Mykonos. This place has a little bit of everything from historical sites, to Venetian architecture, sandy beaches and excellent cuisine. One precaution, however, note that the strong Meltemi winds are present in the area and they can impede mooring. It is, therefore, recommended to deploy mooring lines and avoid the anchor as there are multiple chains in the dock. Agios Nikolaos Marina is located in the town of Agios Nikolaos, on the northern coast of Crete Island. This charming port lies in a beautiful area, being surrounded by the typical architecture of the island. You can find shops, restaurants, and bars in the close vicinity. Some of the attractions you can easily visit in the area are the Mirabello Bay, Elounda, the lagoon of Lake Voulismen. Mooring here will enable you to access a generous set of services including ramp & travelift, fuel station, toilets & showers, laundry service, waste collection, fire safety service, boat maintenance & repairs, parking area, internet. Events such as exhibitions take place in this port regularly. So, your holiday here will be anything but not boring. 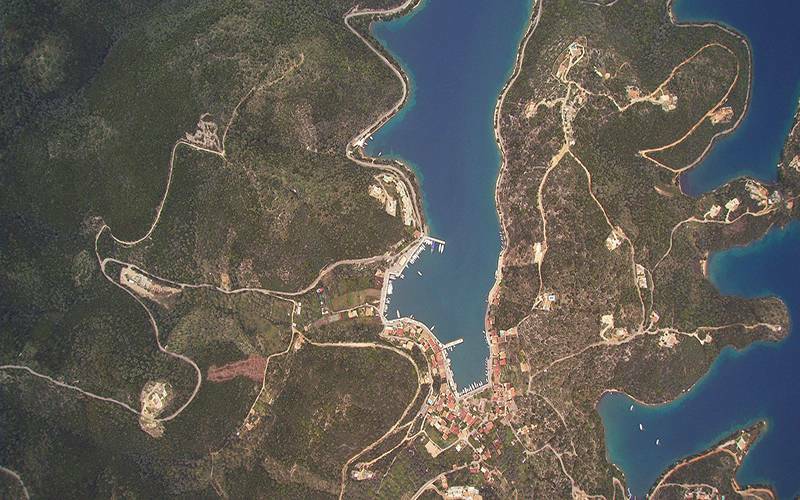 Odyseas Marina is located on Meganisi Island, a renowned holiday destination for families and groups of friends. Bathed by the Ionian Sea, this harbor is surrounded by a beautiful landscape. Most sailors who moor here choose this marina for its proximity to locations such as the Scorpios Island, Corfu, Ithaca, or Lefkas. The professional staff at Odyseas Marina will help you plan a dream holiday in this area. Odyseas Meganisi Marina provides different leisure facilities that will make your stay here truly pleasurable. Restaurants and cafés, clubs, tennis court, basketball court are available for guests. Other amenities include electricity and water for every port, fuel station, laundry, shower, concierge, chandlery & shop, internet, waste disposal. Vathi Marina is located on Ithaki Island, in Kioni Bay. It lies on the north-eastern part of the bay, being the main harbor on the island. In this area, the water gradually decreases in depth, making it safe to moor your boat in this harbor. To best depth to drop anchor here is 10-20 meters and the maximum draft for berths is 8 m. Approaching this marina is risk-free and you will easily be guided on your way by the green light at the end of the pier. The weather conditions you should watch out for as you sail here are the western winds which sometimes make mooring more difficult. This idyllic harbor is a reputable destination among yachting lovers. It provides optimal anchorage for boats of different sizes and it is located in a commercial area where you can find supermarkets, chandlery, ATM, pharmacy. Vathi Marina’s services include water, electricity, bar – restaurant, service station, crane. Also, there are numerous waterfront bars and restaurants near this marina, so you can easily enjoy a night out here. Nonetheless, sometimes powerful gusts might be felt. In this case, you should reef down as you approach the marina, especially if ferries are also on their way to or from the port. Vathi Marina is quite safe, with no hazards as you sail from the Gulf of Molo Some of the historical attractions in the area include an archeological museum, the acropolis at Alalkomenes, the Cave of the Nymphs. Fiskardo Marina is located in the superb Kefalonia Island. The charming town of Fiskardo accommodates this marina in a sheltered area where you and your boat will be perfectly safe. 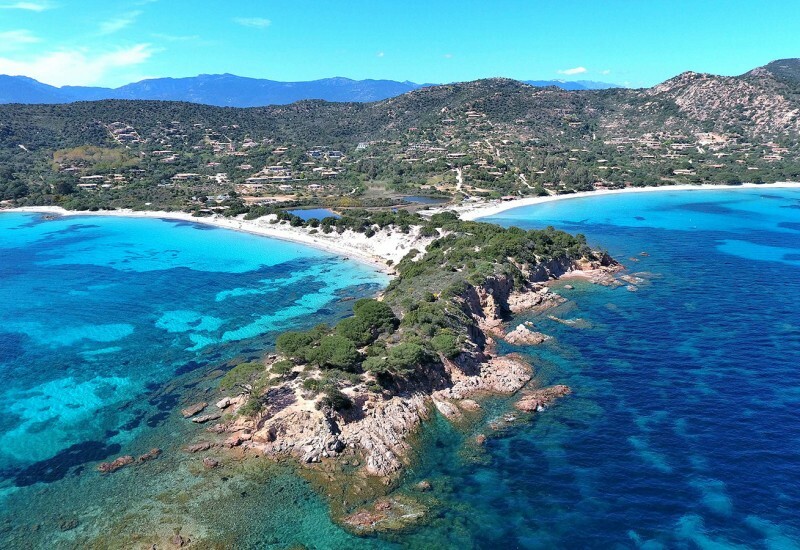 Marina Fiskardo might be a little bit difficult to find as you sail from the north, However, look for the Venetian lighthouse and the taller lighthouse located above, both on the northern headland and you’ll know you’re close. Another thing you should watch out for are the ferries as they might not be noticeable as you reach the headland from the north. 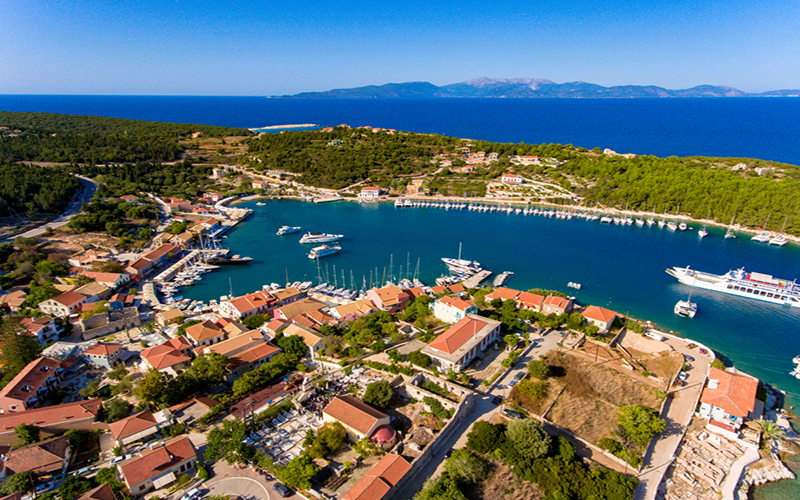 Fiskardo Marina is one of the best marinas in Kefalonia, providing a comprehensive package of amenities including car parking, swimming pool, laundry service, concierge, BBQ, internet etc. 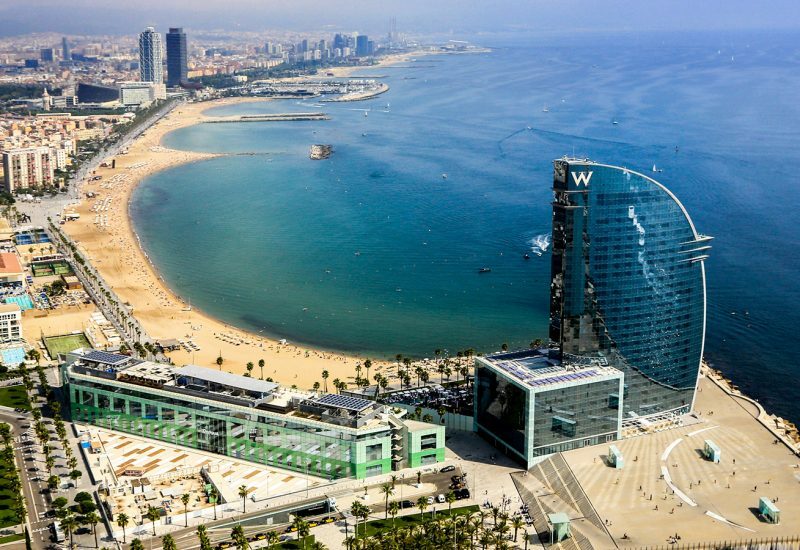 You will find waterfront dining places, cafés and leisure area inside the port. Other Kefalonia marinas we recommend for a berth booking include Marina Argostoli, Sami Marina, Nautical Club of Argostoli. 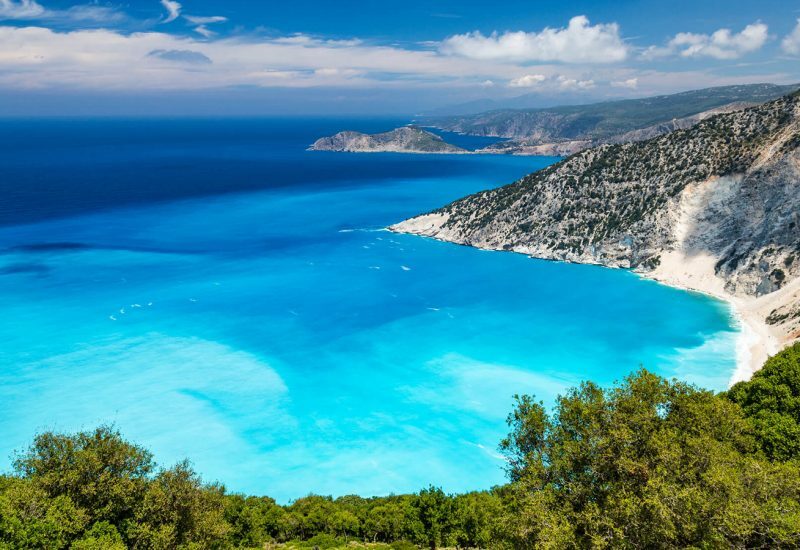 Discover the Best Marinas in Kefalonia. 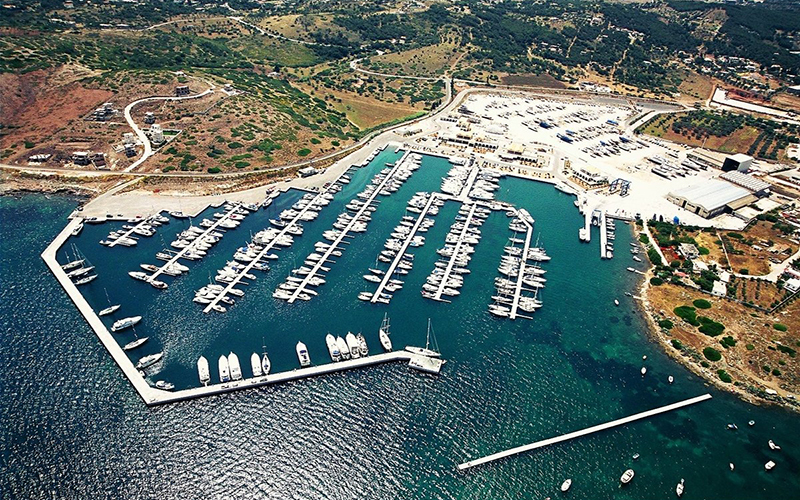 These are some of the best marinas in Greece where we can help you make an online berth reservation. Also, you can take a look at our Greece Sailing Guide. Based on your holiday destination, we can also help you book a berth in other locations. Contact us at any time for more information. We are here to help you make a marina berth reservation in Greece. Contact us for any further details or send us an email to office@marinareservation.com with your contact details, boat details and your dates.